Nixon St-Hubert, known as Nickymix, artist name that he inherited from his fans since the age of fourteen, started his career as a Disc Jockey in his neighborhood in Delmas, Haiti. He quickly got into the Mass Communication world. During his studies, he got his first job in the Medias as a DJ and Technician at Radio Magik Stereo. His talent and great voice were quickly noticed, which led him to become a Prime Time Music TV Show Host on “Tele Timoun”, one of the most powerful Television Stations of Haiti. Simultaneously, he was one of Radio Planet Creole’s stars. With his Radio Show, Nickymix has extensively contributed to the success of Haitian Rap Creole, which was rarely played on Haitian Radios. Nowadays, it has become the most popular music in among young Haitians. Nickymix’s Radio Show became very successful. Every afternoon, during his show, his fans lined up in front of the Radio Station to support their idol. In 2001, Nickymix joined his family in Boston, an event that was heartbreaking to many of his fans in Haiti. However, once again, Nickymix got back on the Radio. Boston being too calm for him, he soon relocated in Miami, and because of his celebrity in Haiti, many doors opened for him in the Haitian Community in South Florida, where he became a host for Radio Carnivale, the first Haitian Radio Station in the United States, and a TV host for HTN, also the first Haitian TV Station in the United States. On HTN, Nickymix’s entertainment show “Connection Live” where he and his guests had live chat about everything, every night on Prime time. 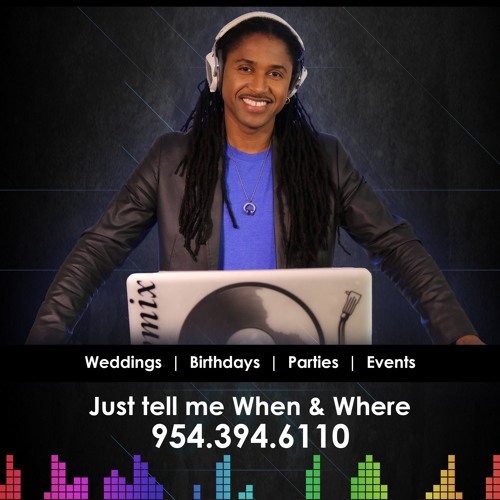 Nickymix has become one of the most famous Haitian DJ of the Diaspora; he is present at all the major Haitian Music Festivals, and is often demanded by the Haitian Community in New York, Boston, Canada, and the Caribbean. He has also appeared in the cinema world in the well-known Haitian film “Café au Lait” and the TV series “Les Frères Dyòlè”. Meanwhile, Nickymix grew to be more interested in the technical part of Television Production. He then learned filming and editing, and created, alongside his longtime colleague Elizabeth Guérin, Imaginart Media Productions, a Marketing and Production company specialized in the Haitian market. Nickymix has become a specialist in commercial writing, and produced educational and entertainment shows. Radio Carnivale became Radio Mega and HTN became Tropik Network. Nickymix is still very devoted to his Radio Morning Show “Bonjour Haiti” on Radio Mega WJCC 1700 AM, produces his TV Show “Online”, and hosts “What’s Up Haitian” on Tropik Network.